What could be more exciting than playing in the snow with your dog? 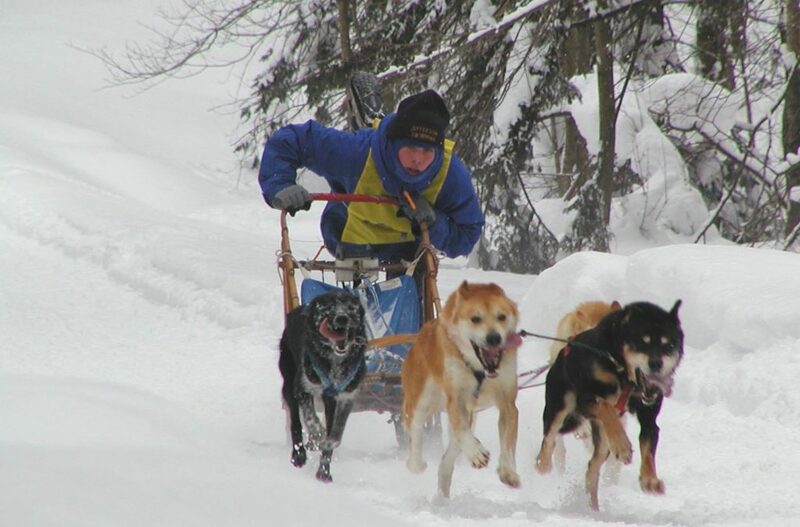 How about a heart-pounding race on a sled pulled by a team of dogs? For many husky owners, winter time equals fun time for both human and dogs. But creating a harmonious sled dog team requires in-depth knowledge of each dog’s personality and their ability to work as a team. Not every dog is cut out for the team. A heart pounding race through the snow. President of the New Jersey Sled Dog Club, Kathy Murarik, says “A good sled dog will be confident, willing to pull, and able to work as part of the team.” A dog team driver, or “musher”, relies heavily on the dogs to follow instructions and get along with one another. 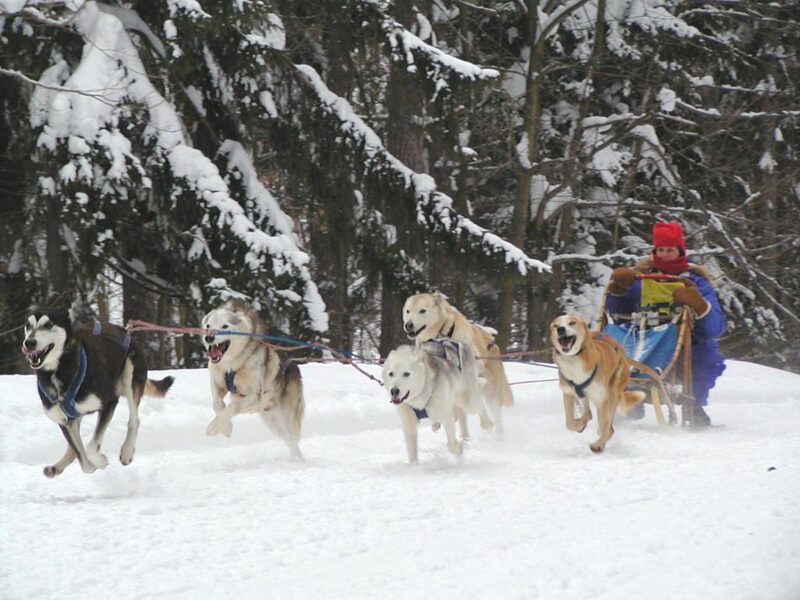 The lead dog is furthest from the driver and therefore must be confident in their ability to pick out the best route for the sled while still minding the directions from the driver. The strongest dogs are placed closest to the sled to help steady the load around turns. These dogs, known as “pushers”, must be calm despite the sled riding right at their heels. Dogs in the middle of the team typically enjoy the thrill of the run, but may not be the strongest or most confident. Both the dogs and driver must be in great physical shape. Just like with any sport, proper training and conditioning is crucial to ensure everyone’s safety and well-being. Dogs must be healthy and strong enough for the demands of pulling a sled. 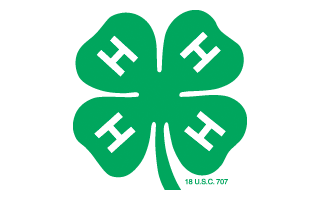 A new dog will have “try outs” on an established team either for a short distance (typically a half mile) to test their abilities and see how well they work with the other dogs. If the new dog does well, the distances will gradually increase over several weeks to build stamina. Like all athletes, the dogs are carefully monitored during this period of training and conditioning to ensure they are healthy and safe before and after each run. Once a sled dog team is in sync, its time to hit the trails! Murarik says, “The dogs just love it! It’s so noisy during set-up because the dogs are barking and jumping. They can’t wait. They just want to get going.” After all the dogs are hitched up and in line, the sled is released from the anchor point and the team takes off like a shot. “You have to hold on tight because take-off is so fast and explosive.” It doesn’t take long for the dogs to settle into their pace and everyone quiets down as they enjoy the thrill of the run. Think your dog might enjoy this sport? Check out the New Jersey Sled Dog Club to learn how you can get started. You can also watch a video of a run from the musher’s perspective on a four dog team.